David R. Barry's presentation at the "Medical Malpractice Seminar" sponsored by the Illinois Trial Lawyers Association on December 6, 2008 at the Westin Michigan Avenue Hotel was reported in the Chicago Daily Law Bulletin. During the six hour program, Barry discussed the common defenses employed in medical malpractice lawsuits and litigation. The Seminar, produced for attorneys, provided practical information, techniques and effective strategies for plaintiffs’ attorneys who handle medical malpractice cases. An experienced and accomplished trial lawyer, Barry represents individuals and their families in plaintiff’s personal injury and wrongful death litigation, concentrating his practice in medical malpractice. He has earned the respect of the judiciary and the trial bar for his ability, professionalism, good nature and success. Barry is currently President of the Illinois Society of Trial Lawyers and was recently inducted into the prestigious, invitation-only American College of Trial Lawyers. He has served as President of the Trial Lawyers Club of Chicago and is a member of the Chicago Bar Association, Illinois State Bar Association, American Bar Association, Illinois Trial Lawyers Association, and the American Association for Justice. 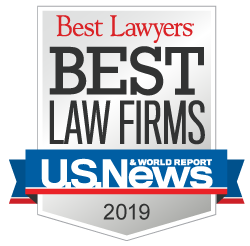 Selected by his peers for membership in the Leading Lawyers Network, an organization of the top 5% of lawyers in Illinois, Barry also has an AV rating - the highest level awarded for professional excellence - by the Martindale-Hubbell Law Directory. He frequently lectures for the Illinois Institute of Continuing Legal Education on discovery tactics and trial practice and has taught medical-legal seminars across the country.